We have already discussed how can you enable google malayalam typing keyboard in computers. Now we can check how can you enable the same on mobile phone and other android devices. Its very easy to configure google keyboard in android mobile phone and devices. 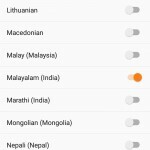 We will explain the step by step procedure of Installing Google Keyboard To Type Malayalam In Mobile Phone. First Step is Visit Google Play Store From Your Android Device – You can open the google play store from your Android Device. Check the image for the same, you can easily open play store and its very familiar to all the users. Once open the google play store search for google keyboard. in the search box type google keyboard, it will automatically list the keyword and you can search for it. check the next image for the search details of google keyboard. you can see the search results of google keyboard. you can check the details of the same from next image. you will get install button, in this image its shows open because we have already installed the same. by clicking the install button it will start installing the google keyboard on your android mobile device. After completing the installation of google keyboard on your mobile phone you can open the settings. to do the same open the shortcut google keyboard or open it from app list. 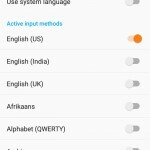 you can check the google keyboard settings from here. Now you can set the google keyboard properties from here. If you want to use any other languages un tick Use system language and pick your option. You can set the languages from the menu and tick for malayalam. Now open the keyboard and find malayalam in the menu. you can easily toggle between languages from the keyboard menu. thanks, i have followed these steps and installed google keyboard in my android phone. can you post a video of installing malayalam keyboard in android mobile phones.